The Linksys Smart Gigabit Switch (LGS308MP, LGS308P, LGS308, LGS318, LGS318P, LGS326MP, LGS326P, and LGS326) offers a quick and easy solution to extend your office network. The smart switch features gigabit speed ports, a web-based setup page for easy configuration and management, and PoE+ support for networking devices to be located anywhere without the need for alternating current (AC) outlets. 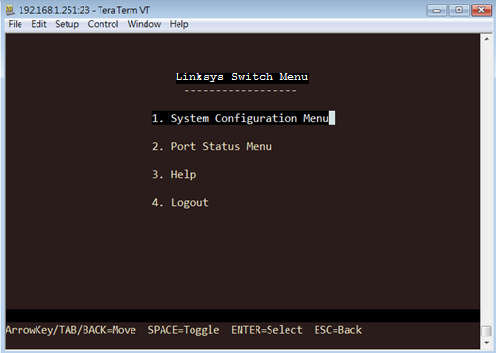 This article will give you instructions on how to access Menu CLI on the switch. 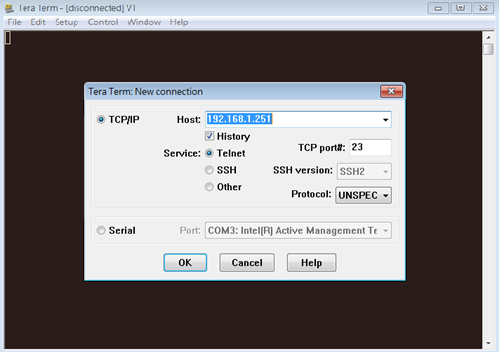 Open the Terminal tool and select Telnet. NOTE: The Host is your switch’s IP address. It is set to 192.168.1.251 by default. 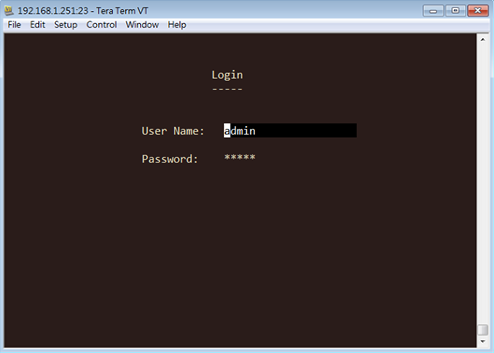 Enter “admin” as the default User Name and Password. You have now accessed the Menu CLI mode.